Led by the Pastor, this class is an informational and discovery class for adults to learn about and become acquainted with the Lutheran church and its beliefs. This is offered on an as needed basis. Contact the church office for details. 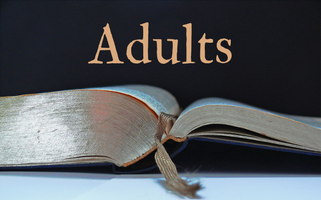 Education Hour meets Sundays at 9:15 am, between services and is aimed at the adults at Trinity that want to expand their knowledge of the Bible and faith through discussion, Bible study, and media. Various Bible groups meet during the week. Men's Bible Study, The Men's Network, meets on the 2nd and 4th Saturdays of the month, from 8-10 am. Resumes March 7, 2019 and meets the 1st and 3rd Thursdays of the month. The class begins with a brown-bag lunch and discussion of current events at 11:45 am, and continues with the Bible study at 12:30 pm. Led by Pastor Krause, the study will be on the writings of the New Testament. All adults are cordially invited to enjoy lunch and fellowship and a lively guided discussion of God’s Word.